The boxes have been unpacked, the desks are all clean and shiny, the pencils are sharpened and ready for use. I’m always a little nervous at this time of year. Will the kids like me? Will they be fun? Will they be curious and energetic? Will I reach them all? Will I understand them and be patient with all of them? And at this time of year, I’m always a little worried about the new curriculum and new regulations and new testing. I am an old dog, and its hard for me to learn new tricks! This year I have an extra fear, though. An extra layer of nerves as I prepare to greet my new group of students. I’m afraid that I am not Antionette Tuff. 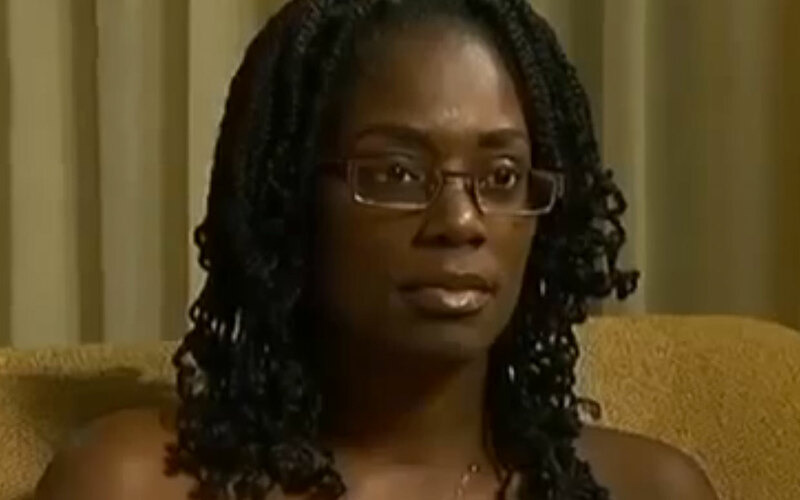 Antoinette Tuff,who talked a shooter into putting down his weapons. The fear of a gunman coming into my school has rocketed from the highly improbable to the possible in my mind. Newtown made schools a target, I think. It seems that angry, disenfranchised young men who want to make a statement are pretty likely to take aim at a school. And if it happens in our building, I don’t think that I would have the courage or the self-control to be Antionette, who kept her cool and talked a gunman out of his weapons in her Georgia elementary school. I am sure that I wouldn’t be that woman, as much as I might want to be. I’m not sure that anyone I know could be that woman. And that scares me and makes me sad. I hope that the Moms and Dads who trust me with their babies are not expecting me to be that woman. I fear that the public will come to believe that I can be a hero like Antoinette. I fear that instead of working to limit the guns, the public will turn to training average people like me, expecting us to look death in the eye and convince it to go away. I just pray that I will never have to be. Facing a gun once in your life isn’t the measure of a person — it’s what they do everyday that counts. The thing is, I am a physical coward, in a big way. I worry that it it ever happened, I would be useless. Still, teachers shouldn’t be thinking about these situations. I hope you’ll never have to be that woman, either, moms. I just can’t imagine myself facing a shooter and being able to be rational at all. You shouldn’t even have to think those thoughts. What a sad country this is. I wish I wasn’t thinking these thoughts….my classroom was moved, so now I am located right inside the back door. I think of it a lot….. I am a bit puzzled and surprised by hearing about the fear that you are undergoing. I am puzzled and surprised since I have not came across anything like that (someone going to a school to shoot kids and teachers!) in India. This is ofcourse not suggest that all people are nice in India. We have ofcourse many problems which are different from yours. But still I find it even difficult to imagine your situation.I appreciate your honest post. Stay strong; take care of yourself. I can imagine how puzzling it must be in India; truly, this should be an unthinkable scenario anywhere, but my country has decided that “freedom” means that we can carry as many guns as we want, wherever we want to carry them. It is very sad! Stay strong and You take care. It’s a sad day that a teacher going back to start a fresh new school year has that fear in the back of her mind. You have enough to worry about. I hate that society has spread a yucky layer that we all have to live with. I hope you have a wonderful school year. I hate it too; its just so crazy to me that this is a real concern for school districts everywhere. Why can’t we just get rid of the guns? I truly don’t understand. But, thank you for your good wishes! Nobody really knows how they will react until things happen. So there is no sense in worrying about the unexpected because it will be, ummm, unexpected. But you know what, Moms? I think that in an emergency of any kind you will take care of the children. It’s in your DNA. Would you safely and calmly lead kids out of a burning building, keep them away from spilled chemistry experiments. Keeping them safe. Yup. That’s you, I’m pretty sure. And there are a lot of ways to do it. * I was going to put in a video of the Cowardly Lion from the Wizard of Oz, but it started with a Ken Cuccinelli ad, so I didn’t. Its funny, but this is actually a topic of conversation among a lot of teachers that I know. We feel such a sense of responsibility;we know we’d handle the kids in a fire, or in a natural disaster. But we are actually thinking and talking about where to hide them, how to protect them, whether or not to barricade the doors, what to do in case of a shooting. I just absolutely cannot understand how the gun rights people can justify this. I bet Antoinette Tuff didn’t think she was Antoinette Tuff either until her moment arrived. I think you’d be amazed how you’d react to protect your kids. But remember that while there will be more school shootings, the chances of any particular school being hit are tiny. You’re in much more danger on your long commute every day (especially with those terrible MA drivers!). I know, I know….Still, traffic risk is something I understand. We need highways, we need cars…this is a risk that has a benefit to it. Guns, on the other hand, are a risk that I can’t accept, nor can I understand the rationale behind allowing them. For what benefit? Our school is now spending thousands of dollars on cameras and a full time “monitor” of those camera images.All so people can shoot for “fun”. I agree with you, but if we didn’t get gun control after Newtown, it’s not going to happen anytime soon. Not till we get rid of the real crazies in the Congress.